I haven't mentioned it much here on the blog, but for the past few weeks I've been on a journey to be more active. I was into sports from the time I could run, and I even did a couple of years as a college athlete. And many of you know I'm a military Veteran; it used to be my job to stay in fighting shape. But a few years ago, I fell off the wagon... hard. And every time I tried to get back on, I'd back off because it was hard to overcome the soreness and get back in the habit. 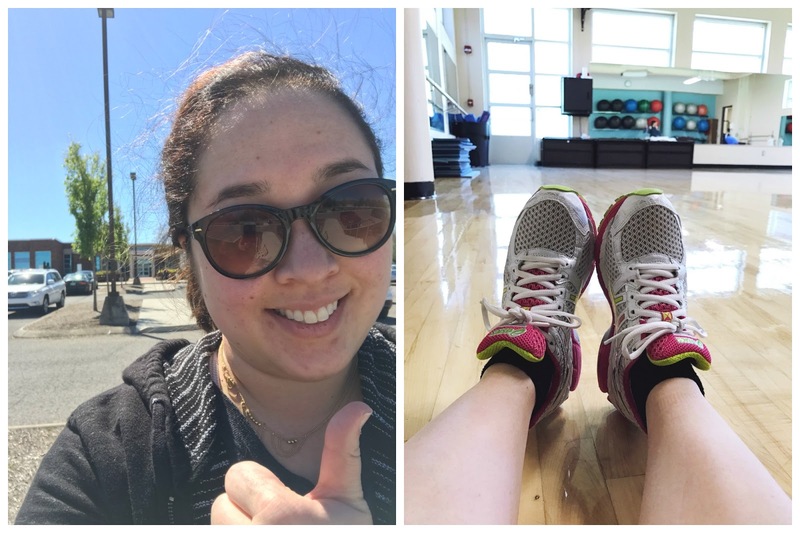 Recently, I've been trying to attend fitness classes at the gym near my apartment, including some pretty intense HIIT and strength training ones. I'm using muscles I just haven't used before, and to be honest, OTC pain relievers weren't really cutting it. My soreness even made it hard to sleep. It's hard enough to get motivated to lose weight and exercise, only to have soreness happen to boot. So when I had the opportunity to try Biofreeze® for my muscle soreness post-exercise, I say YES PLEASE. I was able to try three forms of Biofreeze®, the roll-on, spray, and gel. I was excited, because I knew each bottle could play a different role. The spray, for example, was perfect for the spots (like my back) that I couldn't reach on my own. The gel was perfect for rubbing on my sore areas after I showered, so I could apply a little massage and relief to key sore points. Biofreeze® really is as effective as ice for treating my muscle soreness, but without a dripping towel or bag of melting ice. I can totally pack it in my bag to take on-the-go! My favorite for travel? The roll-on! It's the perfect TSA-friendly size. I took it on a business trip earlier this week out-of-state, and I loved having it on-hand after using the hotel gym. And it's effective; no NSAIDs needed for me, just a little of the menthol in these products for fast-acting relief for my aches. Oh, and did I mention it's now available without a prescription, at retail stores near you, AND made in the United States? This used to be something you could only get through a medical professional. Now it's easily accessible for all of trying to get back into healthier habits. Biofreeze® is also free of parabens and propylene glycol, never tested on animals, and available in dye-free formats. All the good, without the bad. Biofreeze® has been a great helper for me as I try to get back to fitness. I push myself harder because I am no longer afraid of the painful recovery. I can treat my sore muscles with a cooling, relieving gel, and move on. That's definitely something worth sharing with you, to help overcome pain and push forward towards your health and fitness goals!